My First Trampoline for toddlers in a fun friendly zebra design. Padded mat provides protection for younger users and encourages active play. Fun sounds activated each time the child bounces. Helps develop strength and coordination. 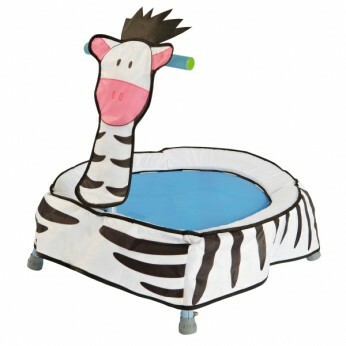 This toy costs approximately £34.99 (for the latest and best prices make sure you check our retailer list for the Zebra Character Trampoline above). In our review of Zebra Character Trampoline we classed it as being suitable for ages 0 to 11 months but recommend you check the manufacturer specific advice before purchasing.